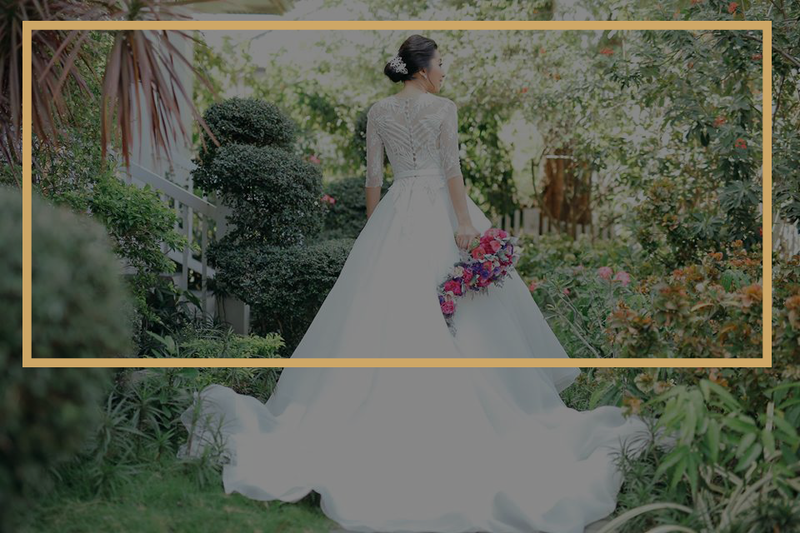 Casa Moda is a wholly owned Filipino garment business specializing in the design and manufacturing of wedding attires & wardrobe for special occasions, providing diverse and comprehensive range of products and services. 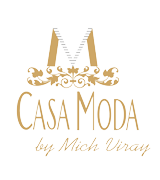 With youthful vigor and innovative style, since 2009 Casa Moda by Mich Viray has established a stable business that judiciously utilizes all its resources to the full satisfaction of its clients. The experience and creativity of its team coupled with the skill competence and discipline of its workforce to ensure that all its projects convey the utmost customer satisfaction through responsive, advanced products and quality service. These services are delivered through a highly efficient organizational structure and administration procedures. Last-minute shopping for formal dresses should no longer be a nightmare. 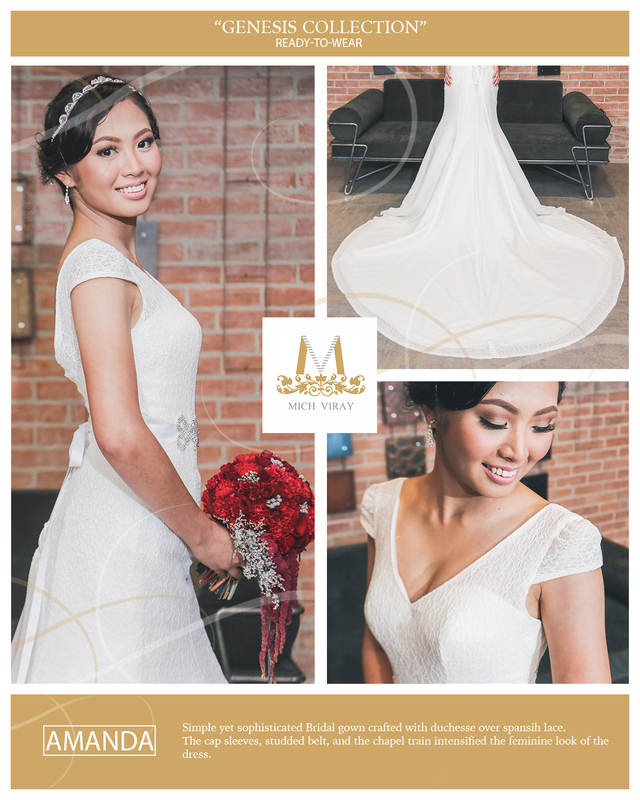 Thank you Casa Moda, especially to Ms. Mich Viray, for crafting a very beautiful wedding gown. 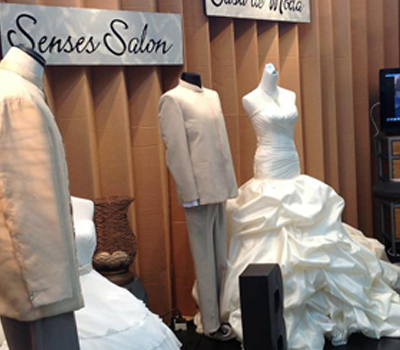 I hope i can wear one of your gowns one day:).. i love your designs. 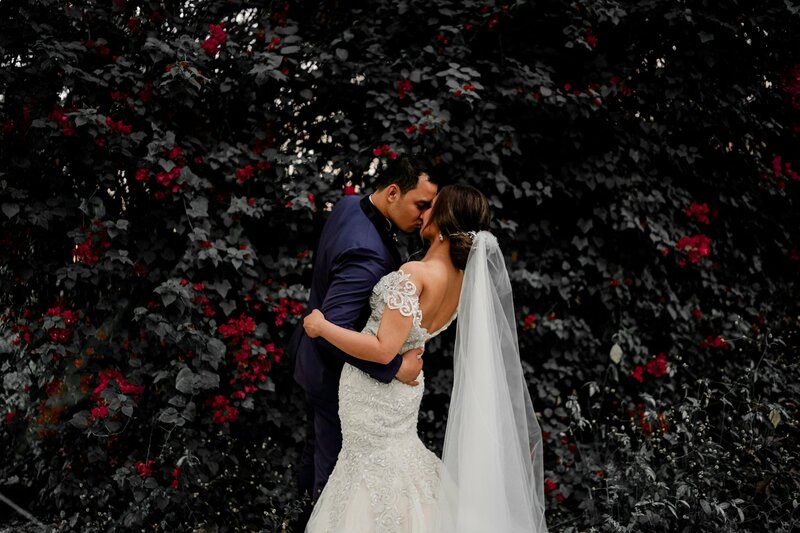 Proud mvbride here! Thank you Mich Viray I will forever treasure the feeling I had while wearing your beautiful creation. Thank you Casa de Moda by Mich Viray for making this gorgeous dress! It was everything I had hoped for in a vintage style dress! 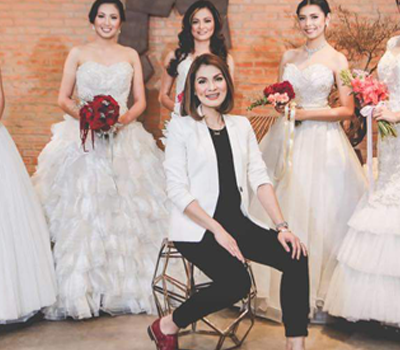 Thank you also to Senses Salon for getting me glammed up for my fist ever Wedding Ninang duty! See you in December! Hi mga tengs. Good evening. Zeb and I just want to thank the whole casa moda team po and ms. Mitch. The best po talaga kayo. Zeb, me and my family really really love your team! Kung 100 times po kaming ikakasal, 100 times din na kayo po pipiliin naming. 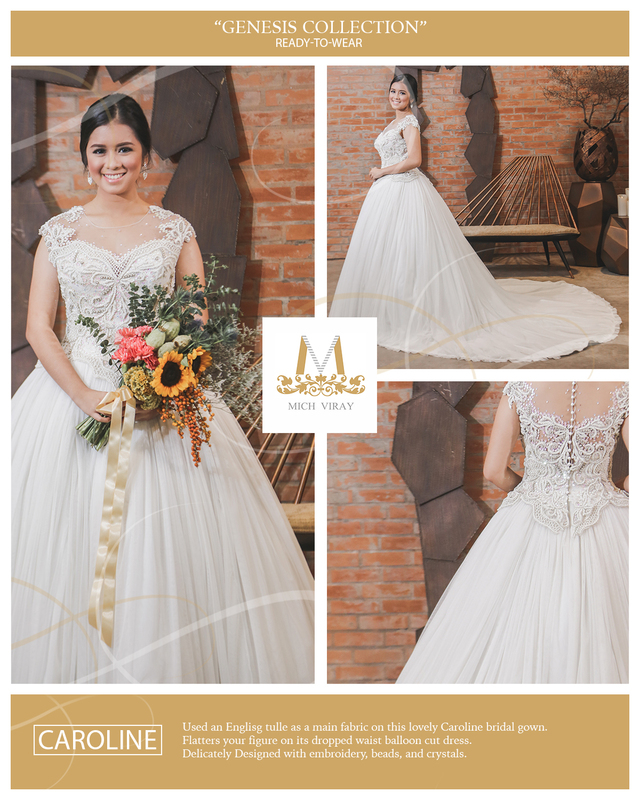 Very professional, very maalaga, sobrang sweet and super ganda ng mga gowns. Ang dami pong nag comment na ang ganda ganda daw po ng mga suot naming. Salamat po and we love you po. 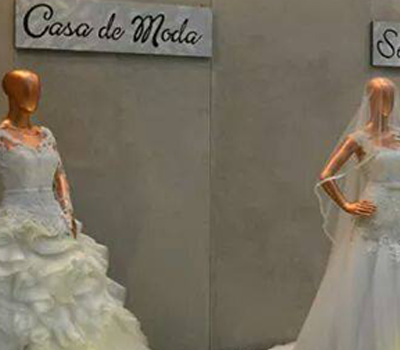 How I wish I could wear one of your gowns(wedding gowns). really beyond beautiful.. #ILovedit!! Thank you so much @mich_viray Casa de Moda, VPLAZA TEAM—The amazing people who refuse to perform mediocre efforts and never cease to make others feel confidently beautiful. I just felt like a princess with my PERFECT wedding gown. 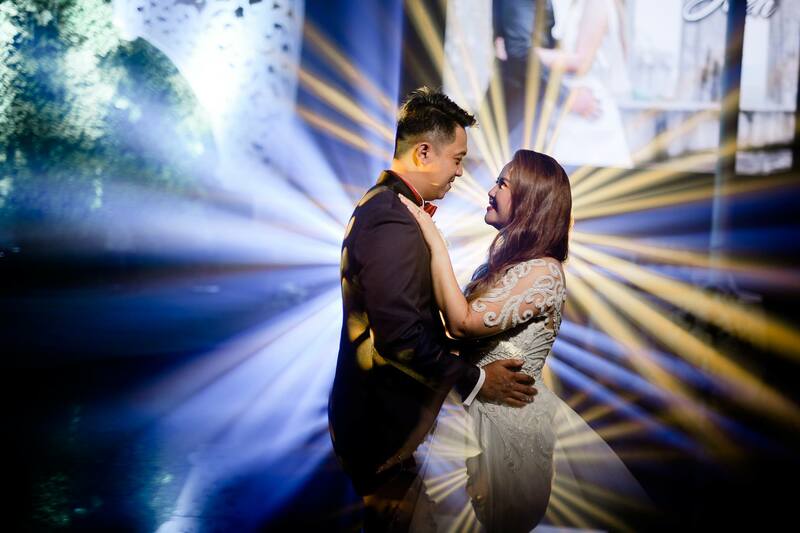 It was really beautiful Ms. Mich Viray. Thank you so much for your patience mam. You’re so kind. 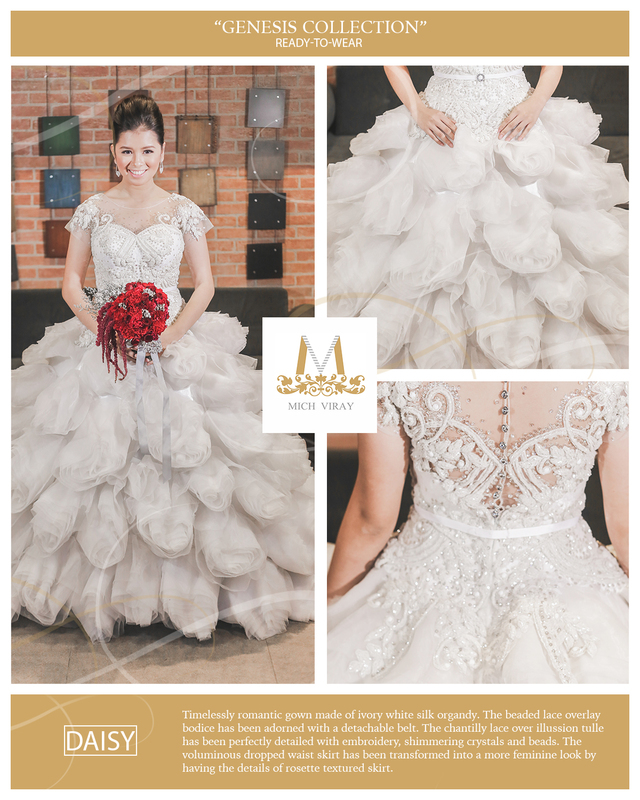 Thank you po for my gown, Kevin's suit and my parents' attire during our wedding day Ms. Mich Viray You and your team made us look our best! More power and God bless! Thank u so much for making my gown so fabulous! Love it. 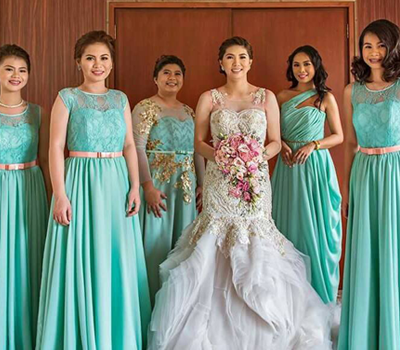 mga ates thank you so much from the beautiful gowns of flower girls to groomsmen and ofcourse my wedding gown. 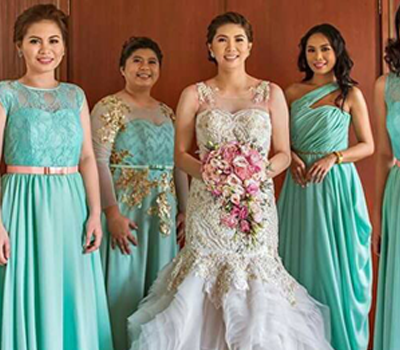 My 3 looked gown was beyond my expectation thank you ladies for making my bridal gown so beautiful and perfect everyone loves it three looks pa un ah. thank you for working extended hours and puyat just to make it perfect!! 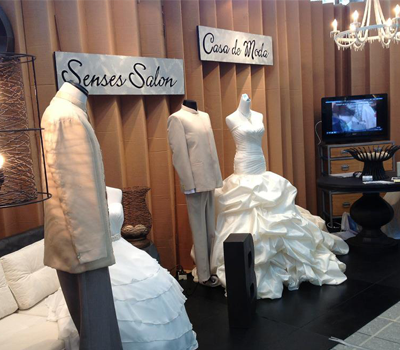 the professionalism of team and everyone was so helpful esp on the day u made our day so easy and seamless as well. thank you so much. 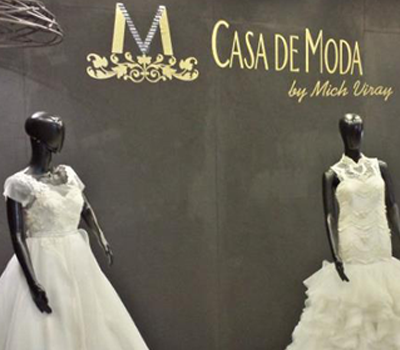 Mich Viray of Casa Moda and her team are very reliable & accommodating. Will always be here for u guys, specially you - ate mich. And i always believe in ur group's hardwork, manpower and teamwork.. I was a witness to all of that. Trials will always come, but dont let trials control you and let u down. Keep the spirit! Love u ate mich!! Proud of you. 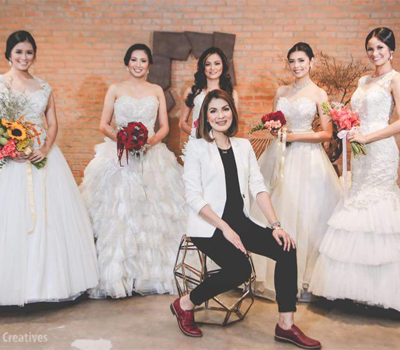 Mich and her team made all my entourage's evening gowns and barong tagalog in only 2weeks and this was 3years ago. And now she's one of the best in Pampanga. I'm so proud of how far she've come and achieved but stayed humble. Well, bottom line, I love Mich and her team. 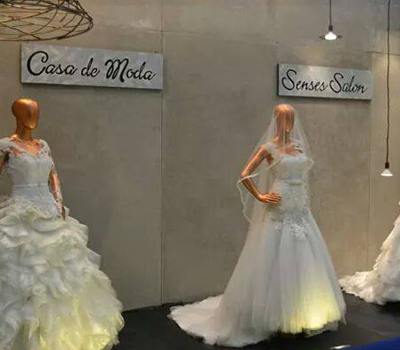 When in need of beautiful dresses Casa Moda is great. They have one of the best customer service I know. 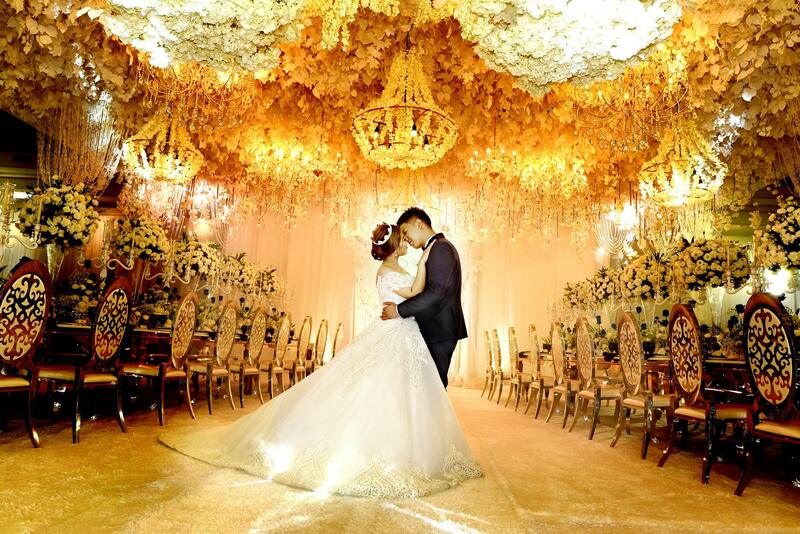 That's why we are getting Mich Viray again to work on my daughter's wedding. We're so happy with their service. Lot 80-81 V. Plaza Bldg. © Copyright 2019. 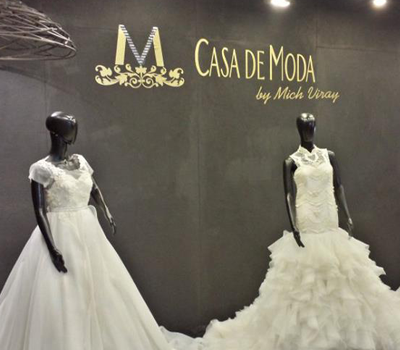 Casa Moda by Mich Viray. All Rights Reserved. Managed by Trendmedia Inc.